European nations have signed up to an objective of reducing the EU's primary energy use by 20% by 2020. It was estimated that such savings would slash the EU’s CO2 emissions by 780 million tonnes and save €100 billion in fuel costs. Unlike the other 2020 targets on greenhouse gas emissions and renewable energy, the energy efficiency target took over five years to agree to in writing. It wasn't until the European Parliament's September 2012 plenary session that the Energy Efficiency Directive was adopted. The EU's main tool to achieve the energy efficiency objective has meanwhile been the Energy Performance of Buildings Directive (EPBD), adopted earlier in 2002 and which was meant to reduce the EU's energy consumption by up to 6% – well short of the headline 20% objective. The directive was also designed to make energy saving measures in buildings more attractive for consumers by obliging national authorities to ensure that "energy performance certificates are made available when buildings are constructed, sold or rented out." The 2010 review of the EPBD requires all new structures in the EU to be nearly zero-energy buildings by 2021 and 2020 for the public sector. However, monitoring and compliance with building codes and standards are lacking, according to the Buildings Performance Institute Europe. However, whilst the EPBD introduced the concept of minimum standards for energy performance in individual member states, its shortcoming was that it only addressed new buildings and existing buildings subject to major renovations. This considerably reduced it scope, since the existing building stock represents 40% of the EU's final energy demand. In 2011, the European Commission fashioned a new tool to tap the remaining potential – the Energy Efficiency Directive. But member states have proved reluctant to sign up to specific targets or measures and have already considerably weakened the bill. The EU Council of Ministers has watered down the draft Energy Efficiency Directive so much that only 38% of the initial savings proposed by the Commission can now be achieved, according to a “non-paper” by the EU Executive circulated in March 2012. Despite this, the directive is still expected to strengthen existing legislation for energy efficiency in buildings, however, environmental activists are dissatisfied. “The directive on the Energy Performance of Buildings (EPBD) represents no encouragement to increase the renovation rate, it addresses mostly new buildings,” said Arianna Vitali of WWF. “The energy efficiency directive should complement the EPDB”. EU countries stroke an agreement on the Energy Efficiency Directive on 13 June 2012. However, the deal fell short of what member states had committed to - 20% energy savings by 2020 - at only 15%. Brook Riley of Friends of the Earth Europe, an environmental group, said the 20% target will not be reached because the most ambitious measures in the directive “have been squeezed from all sides”. Under the Commission's initial proposal, energy companies were requested to reduce their energy sales to industrial and household clients by at least 1.5% each year. But member states have obtained that a quarter of the 1.5% annual obligation can be achieved through a series of different measures. Still, during the last leg of the negotiations, the Parliament did manage to introduce some additional measures designed to guarantee further energy savings in the future. The key measure there is an obligation on each EU member state to draw up a roadmap to make the entire buildings sector more energy efficienty by 2050 (commercial, public and private households included). "It contributes to the framework and it is a long term outlook but it is not strong enough for 2020 – member states agreed to have them because they don't have to implement these roadmaps too soon," Erica Hope, of Climate Action Network said. EURACTIV understands this measure has been agreed in exchange for watering down a proposed 3% renovation rate for public buildings, which will now only address “central government-owned and occupied buildings”. In a country like Germany, where most public buildings belong to the regions, this reduces the scope to only around 37 buildings. Other "detailed measures" that were added at the last minute include "binding financial instruments" for energy efficiency and "better consumer information," such as through the use of smart meters, Turmes said in a statement. Speaking after the 16 June meeting of energy ministers in Luxembourg, which marked the official deal on the Energy Efficiency Directive, Oettinger warned member states that there will be no ways of getting around the new compulsory measures. “This is a binding legislation and our member states have to decide on their priorities, and a priority is to invest in existing buildings, to make them more efficient,” Oettinger told reporters. However, under the proposal, the only obligation for member states regarding buildings is the renovation of 3% of all central government owned and occupied buildings with a total usable floor area exceeding 250 meters squared. In some countries, this narrows down the scope of the directive to only a few buildings – in Germany, to around 37 in total. To top this measure, member states agreed as a compromise to also commit to 2050 roadmaps for the energy-efficient renovation of almost the entire building stock. This could trigger substantial savings, since buildings represent around 40% of the EU’s total energy use. But green groups were skeptical about this "bonus" measure, because the roadmap is not compulsory. "It contributes to the framework and it is a long-term outlook but it is not strong enough for 2020. Member states agreed to them because they don't have to implement these roadmaps too soon," said Erica Hope of Climate Action Network Europe. The 27 EU countries will have to comply with the provisions of this directive within 18 months from its entry into force, in spring 2014. Whilst the main obstacle in the way of energy efficiency is the initial capital investment needed, Oettinger said member states now have enough instruments available to start tapping the necessary money. Through the adoption of the Energy Efficiency Directive, the EU has given a “good constructive offer” to all local authorities, regional governments and member states to use European money “more than in the past” to co-finance public and private investments in renovating buildings, Oettinger said. This should be a priority in the EU's next budget, or multi-annual financial framework, he added. “I am sure we [Commission, Parliament, Council] have a priority to use this money for investment in more energy efficient buildings – this is an upcoming priority,” the energy commissioner said. “Some buildings a year can be delivered from our side in the next MFF(Multi-annual Financial Framework) 2014-2020 just in time, just in parallel with our now binding measures for 2020,” Oettinger said. One major reason for focusing energy-efficiency efforts on buildings is the potential lock-in effect. Buildings constructed today are likely to stay around for the next 50 to 100 years, the European Commission argues. Due to very low demolition rates, constructions dating from 2005 will still be there in 2050, it notes, saying current refurbishment cycles range between 30 and 40 years. “We could end up with white elephants of infrastructure in the future that we won’t need if we don’t act now,” said liberal democrat MEP Fiona Hall (UK). Buildings are responsible for just over 30% of total end-use energy-related CO2 emissions. Residential and commercial buildings account for approximately 32% of global energy use and almost 10% of total direct energy-related CO2 emissions, according to the International Energy Agency (IEA). Energy demand from the buildings sector will more than double by 2050, according to the International Energy Agency. In Europe, 75% of this energy is consumed in residential homes, according to a study by the Buildings Performance Institute Europe (BPIE) in Brussels. The IEA says energy-efficient technologies and more conscious consumer behaviour can help improve this, together with minimum energy performance codes and standards for new and existing buildings. These technologies include heating, cooling and ventilation (HVAC) systems, high efficiency lighting, appliances, heat pumps and water heating and cooling. Few countries have policies to enhance the energy performance of buildings, according to an IEA report published in April 2012. The Commission’s initial ambitions in the Energy Efficiency Directive were watered down after the member states passed a series of amendments in the EU Council of Ministers. The original plan had been to only target public buildings with a total useful floor area of over 250 square meters, an objective which activists already criticised for being too weak. But the Council later restricted this requirement further to include only "central government-owned" and "occupied" buildings, "with a useful floor area of over 500 m2". As of 9 July 2015, this would need to be lowered down to 250 m2. The rewording makes a significant difference for some countries. Sweden, France and the Netherlands for instance have many buildings owned by the central government and would be chiefly concerned by the renovation provision. Meanwhile, in Germany, regional authorities own most public buildings and would therefore be let off the hook. In the UK, many buildings owned by the central government are historic and would be exempt from this requirement. "We are talking about tackling significantly fewer buildings, if we require only buildings owned by central government authorities to undergo renovation,” said MEP Hall. One pillar of the directive is an obligation on energy retailers to reduce their sales to household clients by 1.5% every year. Under the envisaged model, energy retailers would propose a range of energy efficiency products and services to their clients, such as double glazed windows, insulated rooftops and more efficient boilers. Clients would be offered either a shallow or a deep renovation of their buildings and pay for those via higher electricity bills. After a while, or in some cases even immediately, household electricity and gas bills would automatically go down, since the energy use would be lower, balancing out the costs for consumers. Things were set differently for public buildings. In the draft directive, the Commission asked member states to renovate 3% of the total floor area of public buildings of more than 250 m2. These renovations would have to be completed by 2014. On public procurement, the Commission asked member states to ensure that authorities make only energy-efficient purchases. But the Council weakened this provision into a simple obligation to "encourage" member states to do so, taking into account first "cost-effectiveness, economical feasibility, technical suitability and sufficient competition". A broad agreement was reached among EU member states and the European Parliament that renovations had to be increased by around 3% each year in the directive. Their common understanding was that the building stocks represents “the single biggest potential sector for energy savings”. “Moreover, buildings are crucial to achieving the Union objective of reducing greenhouse gas emissions by 80-95% by 2050 compared to 1990,” the text reads. But differences soon appeared over the extent of refurbishment that will be required on the existing building stock. The Parliament proposed roadmaps for “drastically” reducing the energy use of both private and public buildings by 2050, saying it was essential that the directive adopts a long-term view. The Council refused long-term targets and erased the phrase “deep renovations” from the directive's aims. It did agree on flagging public buildings as energy-efficiency examples, as they have high visibility, but asked for only “owned and occupied central government buildings” to be addressed. The deletion of the roadmaps upset green activists, who supported setting an energy efficiency target for buildings by 2050. “If you start putting in place incentives such as roadmaps now, deep renovations will deliver savings also in 20 years, not only just by 2020. We need to have an idea of where we want to be in 2014, 2015, 2020, 2050. The roadmap served this purpose,” said Ballu. The promotion of deep renovation is the measure that has the most lasting effect beyond 2020 and it should have a central role in the directive, he argued. “But if you want your savings to make a difference for the next 30 years, for 2050 targets, either you make a deep renovation now, or you will lose a lot of potential. No one will renovate in 10-years time again”. The provision on energy efficiency in buildings has also been weakened by EU member states because changes in buildings are very unpopular amongst citizens, an EU official told EURACTIV. “At the end of the day, consumers will have to pay for energy efficiency changes through their energy bills,” the official said. “It is a political decision to ask them to do so. It is very unpopular for politicians”. The debate around the Energy Efficiency Directive has centred chiefly on the economic cost and benefits of the legislation. According to the European Commission, renovating buildings could generate savings of up to €1,000 per household each year and create up to 2 million jobs. These jobs will not be temporary because even if revamping a building is a one-off measure, “there are plenty of buildings in Europe and there will always be a need to improve them,” said Arianna Vitali of WWF, the conservation group. At the moment, the EU is trailing behind its headline target to save 20% energy by 2020, with only about 9% achieved so far. Missing the target will cost member states at least €34 billion by 2020, according to Philip Lowe, the European Commission’s director general for energy. According to Lowe, this will also mean the continuation of capital outflows from the EU economy via energy imports, which totalled €400 billion in 2011. Electricity companies, for their part, have denounced the obligatory reductions in energy sales contained in the draft directive and called it an “energy-cutting” piece of legislation that “hampers growth”. They claim the draft is too prescriptive and harmful to energy companies which have already taken early action on savings. In the absence of an immediate economic return, the International Energy Agency has suggested implementing targeted policy measures to enhance the efficiency of buildings. Market-driven measures have been hampered by a lack of legal clarity on issues such as split incentives between tenants and landlords, the IEA said in a recent study. There is also a lack of awareness of efficient technologies and a shortage of qualified “green” technicians to install them. On top of this, payback time on the initial investment is still too long for many households, especially in times of austerity. Households are often reluctant to make the investments, even if they almost always turn out to be cost-effective in the long-run. The IEA says governments can address these barriers by implementing targeted policies, coupled with financing tools and models to help overcome high upfront investment costs. Matthieu Ballu agrees and believes governments can help Energy Service Companies (ESCOs) and producers of insulation to grow the market in size. “Now it is still a niche market – materials are not known, not widespread, not many companies offer high quality energy efficiency renovations. It requires higher skills, workers who know how to work with new companies,” he said. "Those that can win the trust of their customers and can develop some new business ideas will be successful," he said. Achieving the directive's objectives will require a deep change in mentality – both on the part of household clients who consume energy and the retailers that sell it. Energy companies will have to change their business models from only gas and electricity supply to personalised consumer energy services as the EU's Energy Efficiency Directive takes shape, an industry expert told EURACTIV in an interview. “Many energy utilities see their core business as supplying electricity and gas to the metre and are not fully engaged in working with their customers on how they use energy," said Jon Slowe, a director at Delta Energy and Environment, a consulting firm. "They have not had to do it, it is not their business model, it’s not what they’re good at,” added Slowe, who leads Delta’s work with utilities, helping them develop decentralised energy and low carbon strategies and tactics. Slowe said the challenge was in raising consumers' interest in energy-saving services they might not otherwise purchase. Marie Donnelly, director for renewables and energy efficiency at the European Commission's energy directorate, agreed. Speaking at an industry conference in Brussels, she said the lack of information among consumers is the main obstacle in promoting energy efficiency services. “The citizen, the consumer, the residential owner is what we should be focusing on,” she said. Under the upcoming EU legislation, buildings, appliances and heating systems will have to be more efficient. Energy companies will have to remodel their business into selling energy services, such as the installation of more efficient water boilers or heat pumps. In its energy efficiency plan, in 2011, the European Commission wrote that “the greatest energy savings potential lies in buildings”. According to the EU executive, renovating buildings could generate savings of up to €1,000 per household each year. “Further energy efficiency measures could lead to the creation of 2 million green jobs by 2020, according to recent estimates,” President of the European Commission José Manuel Barroso said. Whilst the long-term benefits of energy efficiency improvements are known to all, energy companies and EU member states are reluctant to pay substantial up-front costs for renovations. One of the main offsets is the time it takes for an investment to generate a return. “There is a certain level of resistance in some member states to the idea of having a binding renovation target given the current financial constraints,” said Fiona Hall, a British MEP who is following the negotiations for the Alliance for Liberals and Democrats for Europe Group. “Member states should bear in mind that reducing the energy consumption of buildings will save public authorities money on their energy bills, and that new third-party financing models, such as energy performance contracting, can eliminate the need for upfront costs altogether,” Hall added. Adrian Joyce, the secretary general of the European Alliance of Companies for Energy Efficiency in Buildings (EuroAce), points out the economic benefits of energy efficiency changes in buildings. The extensive renovation of the EU's building stock by 2050 has the potential to increase energy security and provide investors with an internal rate of return of over 13%, Joyce said. That investment in energy efficiency measures in buildings, he added, makes money and could readily drive an economic recovery. Commenting on the Council's decision to address only central government owned and occupied buildings, Joyce said: "The Directive should require Member States to prepare National Roadmaps to 2050 that demonstrate how they will achieve an 80% reduction in the energy demand of their building stock by 2050 as compared to 2005 levels." Jonna Byskata, director for government affairs Europe at United Technologies Corporation (UTC), supports the EU's energy efficiency bill. She considers the directive a step forward for the renovation of the EU's building stock, but said, nevertheless, that it falls short of its actual potential. "We are disappointed that the ambition level of the buildings focus and targets has been lowered so much by the Member States. What is really important now would be to agree on setting a 2050 Roadmap for the energy efficient retrofit of the existing buildings stock. Such Roadmaps, agreed at EU level and then quantified and given detail at national level, would really give industry the needed investment signals," Byskata said. "It is also very important to focus on effective control and enforcement of the EU Buildings Directive – that would also have a very positive effect on the markets, and also boost local jobs in the buildings and renovation sector," she added. Oliver Rapf, executive director of the Buildings Performance Institute Europe (BPIE), also suggests obliging member states to draw up national renovation plans for buildings. The European Parliament's industry committee’s amendments to the proposed energy efficiency law already ask for the establishment of such roadmaps, he said. “What really defines the savings potential is not only the renovation rate, but also the depth. So having a definition of ‘deep renovations’ included in the directive is as important as having a set renovation target,” Rapf said. Agathe Ernoult, from the European Environmental Bureau (EEB), a green NGO, expressed disappointment at the deal: “The Energy Efficiency Directive was a golden opportunity to help lift Europe out of the crisis by creating jobs, cutting harmful emissions and increasing energy security. However, European leaders have spectacularly failed to seize this opportunity," she said. "Countries have committed to deliver energy savings by putting an obligation on energy utilities to make energy savings but gaping loopholes remain and lack of ambition stand in the way of an effective directive. Worse, there is no guarantee that their commitment will be invested in the most important sector: building renovation," Ernoult added. ?British MEP Fiona Hall, who took part in the negotiations with EU member states on behalf of the Liberals and Democrats group (ALDE), has welcomed the deal on the Energy Efficiency Directive. "Although the text in Article 6 on the energy efficiency obligation schemes is not as strong as the Parliament wanted, it is an important achievement that for the first time ever Member States will have to have a long term strategy with policy and measures in place for dealing with the energy efficiency of their buildings," she said. ?Erica Hope, of green group Climate Action Network Europe said that? the 3% energy savings that member states have given up show that they have not realised the benefits energy efficiency brings, Hope added. "Every percentage point missed the change to achieve more GHG reductions, have less energy imports from abroad and save tens of millions of euros every year."
? 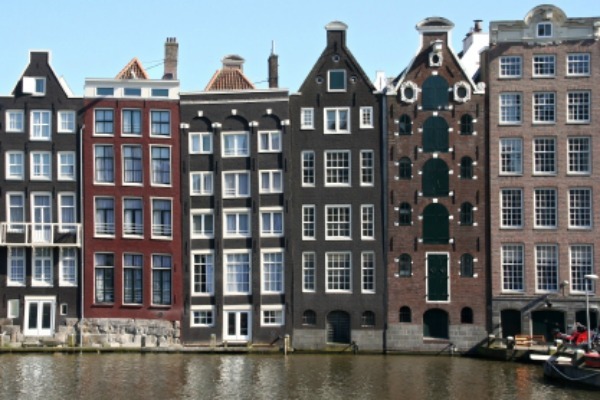 "The requirement for Member states to set up national roadmaps by 2014 for the deep renovation of the existing building stock, both public and private, is at least a starting point," Martin Engelmann, Advocacy Director at PlasticsEurope said. He calls on member states to develop now stepwise plans with clear intermediate targets and on the Commission to monitor them closely. British Conservative MEP Vicky Ford, in charge of negotiating the directive on behalf of the European Conservatives and Reformists group said that the deal represents a fair compromise. Secretary general of EuroAce, Adrian Joyce said the move should enable member states to seize the huge potential of savings offered by their existing building stock. "If member states get this right, they have the opportunity to cut the energy demand of the EU existing building stock by 80% by 2050, freeing up large amounts of energy and, in turn, money." “As regards building renovation, the Energy Efficiency Directive is another example of an EU directive which provides a praiseworthy long-term objective but which lacks EU-wide stringent measures that would provide certainty and confidence for industrial actors to mobilize resources” Bertrand Cazes, Secretary General of Glass for Europe said. Cazes said the EU has made "small progress" on building renovation, but added: "The requirement for Member States to establish long-term strategies to improve the energy performance of the building stock through the deep renovation of commercial and residential buildings is welcomed. Similarly, the willingness shown by the co-legislators to set-up financial facilities to achieve the objective of the directive are also seen positively by the flat glass industry." 2014, 2016: EU pledged to review progress towards energy efficiency 2020 targets and consider binding measures if it is too slow. 2020: Deadline for EU states to meet voluntary obligation to reduce energy output by 20%, measured against 2005 levels. European Commission:Public Consultation on "Financial Support for Energy Efficiency in Buildings"
UTC (United Technologies):"Buildings will evolve from a drain on our resources, to a regeneration of our resources." Demolish. Build New. End Of. Refurbish 10 million homes – Re-invigorate Europe’s economy! Energy Cities, Cecodhas, Eurima, EuroACE and the European Builders Confederation call for the future EU Growth Agenda to include a clear objective : to refurbish at least 10 million housing units. Exactly, what I have been saying here in the UK. Where I live we have buildings of over 300 years old. There are measures, dry lining walls, adding another layer of glazing to the windows, heating, not forgetting the other measures in place already. With new ideas and exceptance that we have to change. We have to change, a simple answer to the high energy bills, of course this could help with the situation on the economy. Money spent on high bills, could be further spent on more useful things. Hello I agree, but as I have written, I live in a building that is over 300 years old, no insulation and a real need for the building to be both updated and effective in energy. I agree with what you say, but how do we get countries interested enough to start the care of these buildings? I consider the energy situation to be one of great importantance the true beauty of the building needs to appreciated, and cared for. As I have added this is my home, I feel great sadness about the situation. The building is social housing. What’s the picture exactly, looks like Amsterdam, Rokin / Warmoesstraat, close to Central Station ? On the subject: I agree that old buildings should be made more energy-effective but it’s a hell of a job and very expensive too. I know I live in a building that is Georgian, not long ago, the subject of central heating was a very difficult one to resolve. Most of the properties have in the past relied on storage heating, these heaters that are trying to heat rooms with high ceilings, large windows,are a waste of time and money. They are not energy effective, high consumers of energy, and they cool during the day. With the lack of insulation in these buildings, they soon become very cold and damp. I do think that in the past and still today, a drama seems to be acted out on the fact they are old. I do like the word monument, that about says it all. Of course care is needed but without a purpose these buildings are not going to be cared for.